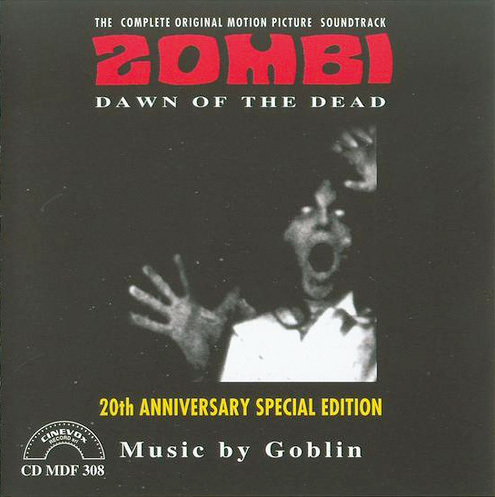 20th anniversary re-issue of Goblin’s eerie, bump-in-the-night score for George Romero’s classic Dawn of the Dead (Zombi in Italy). Some real classic Seventies moments reminiscent of Superfly but significantly darker. Right up there with Tangerine Dream’s soundtrack to Friedkin’s Sorcerer, this is one of my absolute favorites. The first track alone kills it. Enjoy! oooh, i love this stuff. why is that european film directors took music so seriously in the 1960s-1970s when americans did not? have you ever listened to any Gert Wilden? if not, i highly recommend.